If there’s one thing about the British weather, it’s remarkably unpredictable! 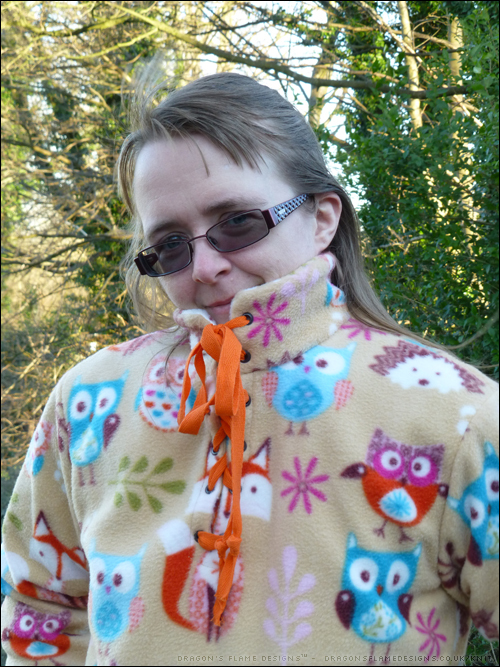 We always joke that you can spot a tourist by the way they’re unprepared for rain, or unusually cold snaps, so it seemed a logical step to make myself a warm fleece as part of the 5 out of 4 20k blog tour! 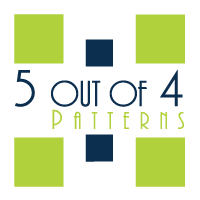 Yes, you read that right, 5 out of 4 patterns* has hit 20k members in their facebook group! 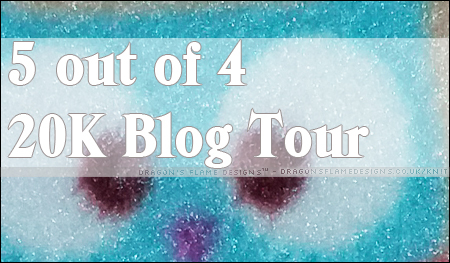 Keep reading to check out my make, and read right on to the bottom of his post for details of the 40% off sale and giveaway! 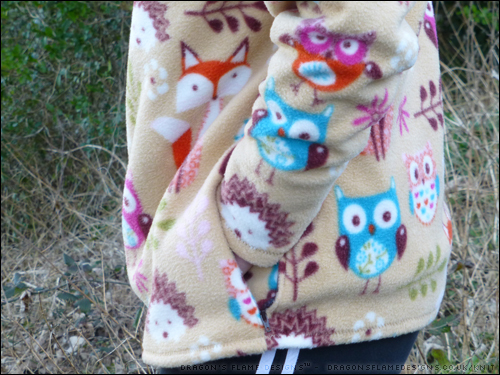 I used the Ascent Fleece* pattern by 5 out of 4 patterns* again, but you’ve probably noticed that my fleece looks totally different from the other Ascent I made before. 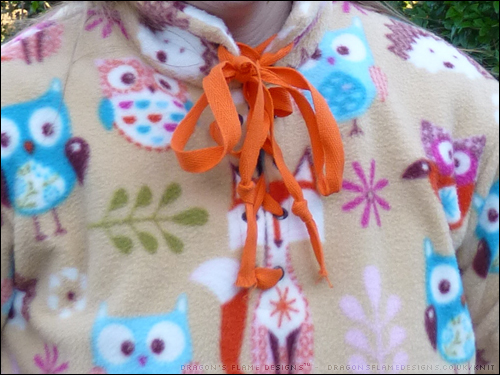 I’ve got a couple of RTW full-length zip fleeces, but I never find it comfortable to zip them up further than the base of my neck, so I thought a lace up style might be more user-friendly, while still keeping me warm! I had to deviate from the pattern quite a bit to achieve the lace-up look, so I hope you’re paying attention at the back there, if you want to follow along! 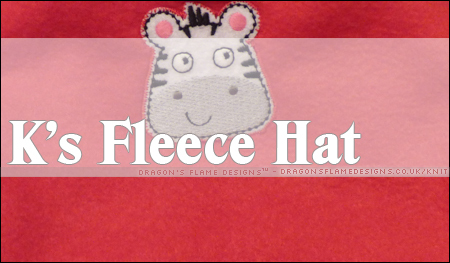 Place the facing and front pieces right sides together and stitch as per the instructions. 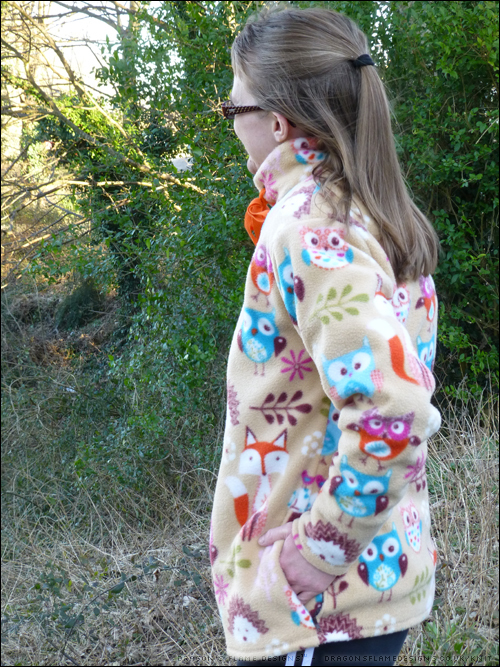 If you prefer to have no raw edges showing (although as fleece doesn’t fray, it’s not the end of the world), you can overlock / zigzag the two long sides and base of the facing first. 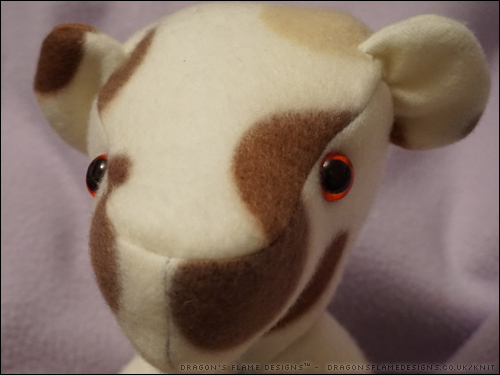 Cut down the centre of the facing stitching, and turn the facing in. The right side of the facing should now be on the wrong side of the front piece. Pin this in place. Making sure to leave enough space for the eyelets, stitch down one side, across the base, then up the other side to secure the facing in place. 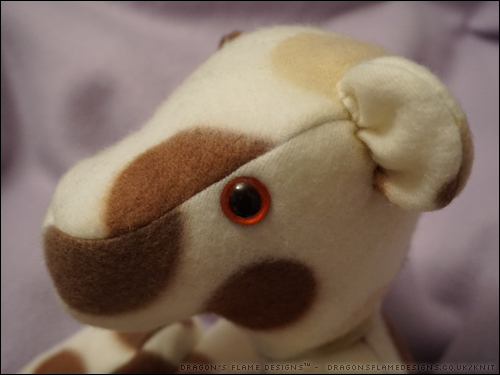 I used a straight stretch stitch just for strength, as it won’t really need to stretch much (if at all). I used 4mm eyelets – there’s not really any need to use huge ones, as long as you can fold the tape or fit the cord through the hole. 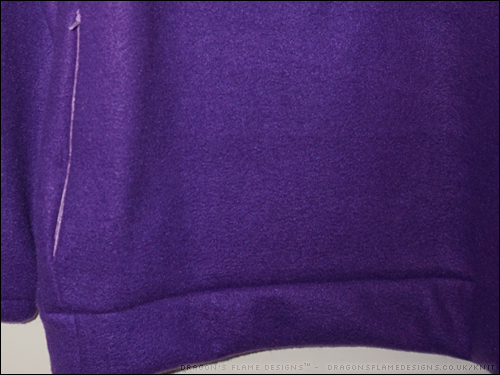 Add the collar as stated in the instructions, but bear in mind that the facing is already sewn in (there’s no zip to fold it around), so when sewing the inner collar to the outer, you can start at the base of the short edge, sew up, along the top, then down the opposite short edge, before turning the inner collar to the inside. I added in the holes for my eyelets at this point, but because the inner collar base hasn’t yet been stitched, I didn’t add in the eyelets – you really don’t want to be sewing over the top of them! 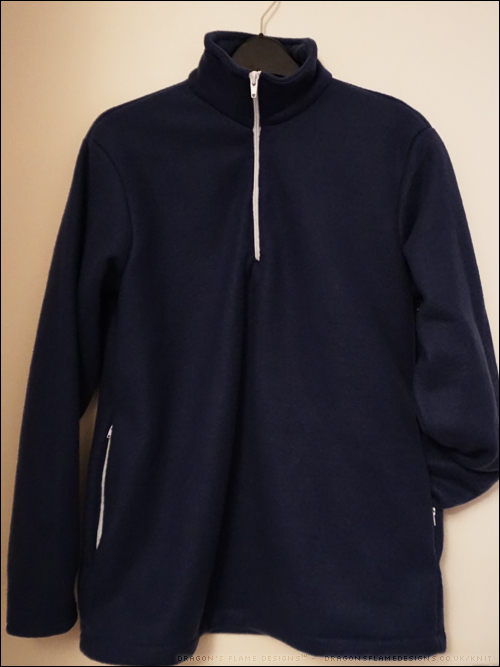 I used a straight stretch stitch on the ‘stitch in the ditch’ around the collar base, but decided to skip the top stitching around the top of the collar. I didn’t think it was necessary as the collar stands up fine without it. 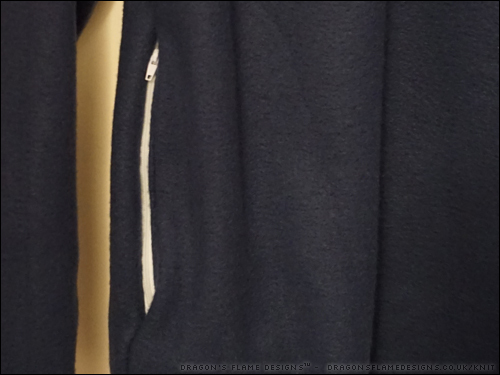 Really that’s just personal preference – the majority of RTW fleece tops do have that topstitching. I started fitting the eyelets at this point, but stopped part way through as the thickness of the fleece was proving a bit of a challenge. I will admit I made a mess of 5 or 6 eyelets before I managed to get the fleece to behave, and all the eyelets in place. I used a metre of plain tape and just threaded it through the eyelets as if I was lacing a shoe. I could probably trim the tape down a little, but I’d rather have it too long than not long enough. 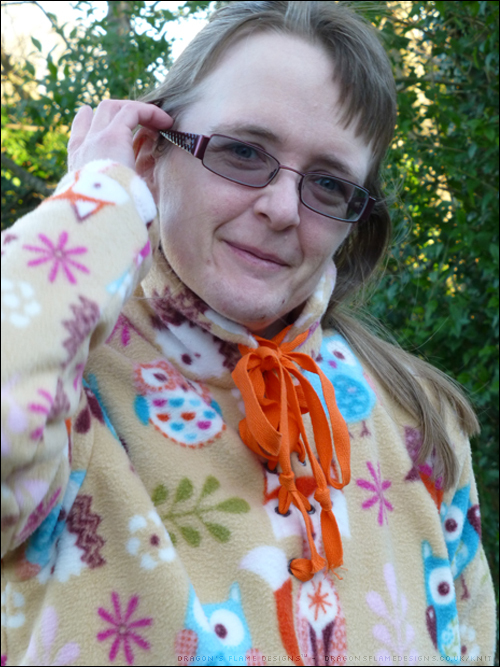 It was worth the hassle of the eyelets, as it certainly helps to keep the cold out, while being fully adjustable! 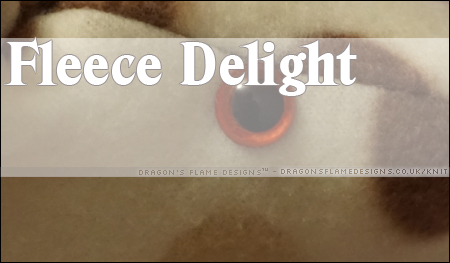 Can I just say that I love patterns which use a 3/8″ seam allowance, as that is the same as the width of my walking foot, so it’s really easy to line up on straight edges and on curves. On to the pockets next, and another small deviation. I don’t have a concealed zipper foot for my machine (and really don’t want to fork out £20 or so for a branded one), so I picked out two standard zips instead. Rather than following the instructions, I used the method I came across before, for adding a zip to a dress. 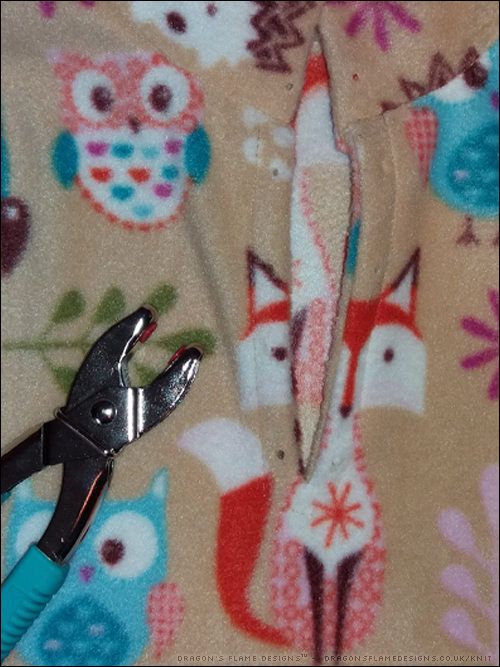 You sew the side seam, then backstitch just where the zip is meant to start. 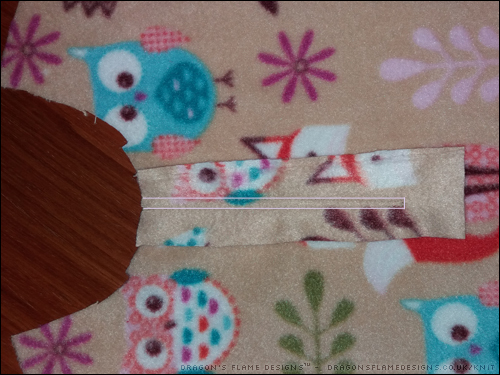 Change the stitch length to the longest straight stitch you can, and tack (baste) for the length of the zip. 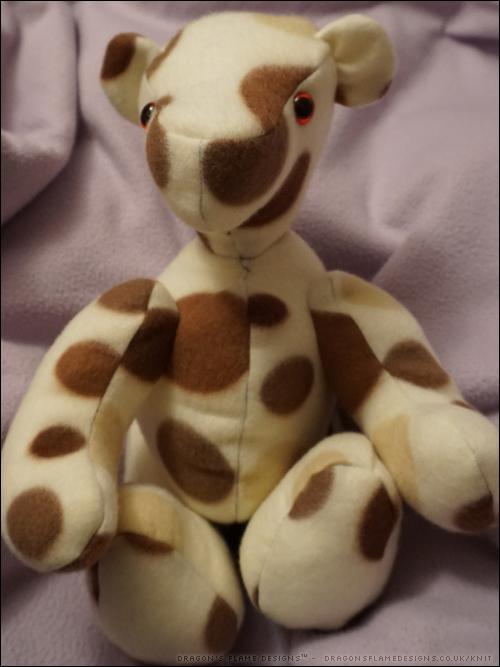 Change back to whatever stitch you were using on the side seam, take a couple of stitches forwards, then backstitch to lock that in, before finishing sewing that seam. 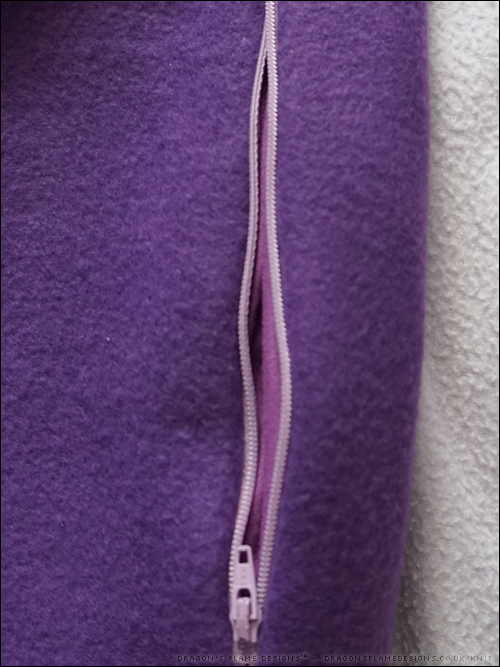 If you look closely, you can see the difference in stitch length between the main seam (to the right of the zip) and the tacking where the zip will be. 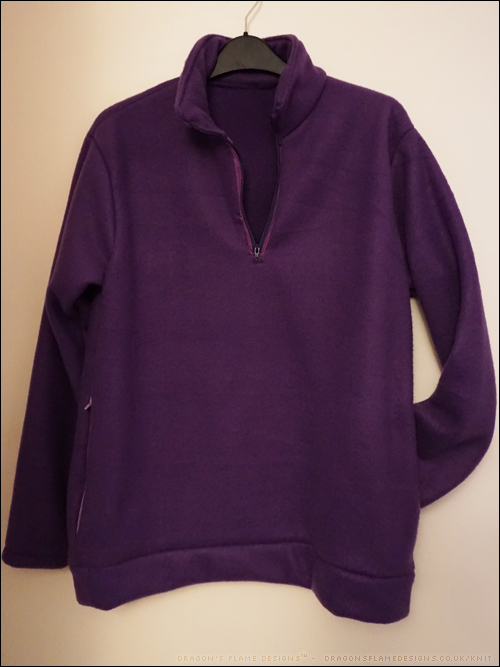 Then you place the fleece wrong side up, and position the zip face down over the tacked stitches. 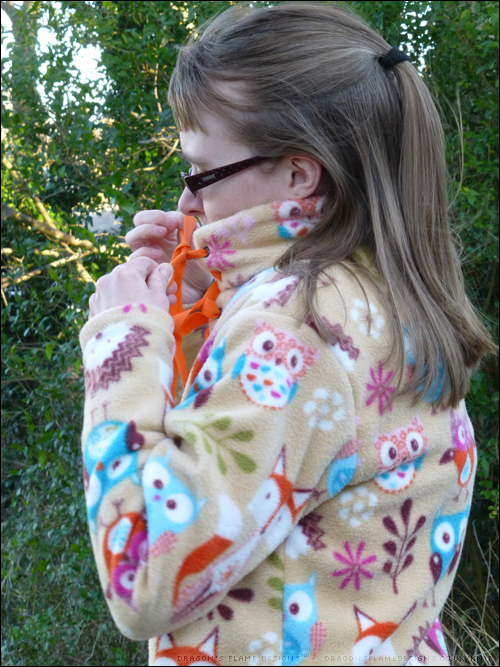 I did straighten the zip out before sewing, as I realised it was somewhat wonky the way I’d pinned it to start with! Turning everything right side up, carefully sew the zip into place. 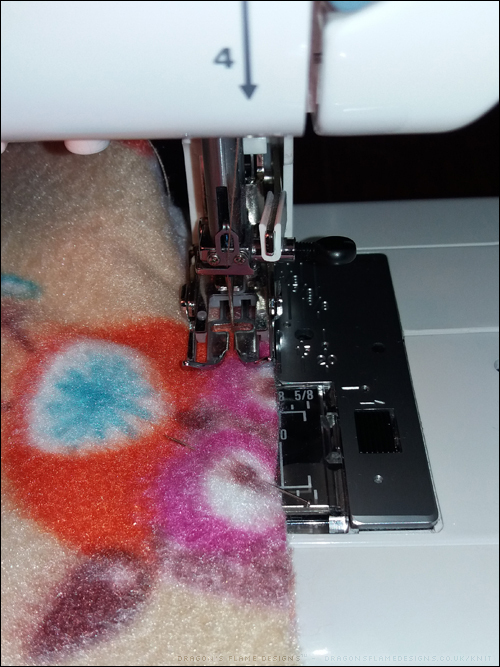 I kept the walking foot on for this step, so I had to sew half the zip at a time (I couldn’t get the zipper pull to move past the walking foot), but if you sewing machine will cope with the fleece and a zipper foot, that is a much better option. Then just unpick the tacking (basting) stitches to open the pocket up and make it usable! 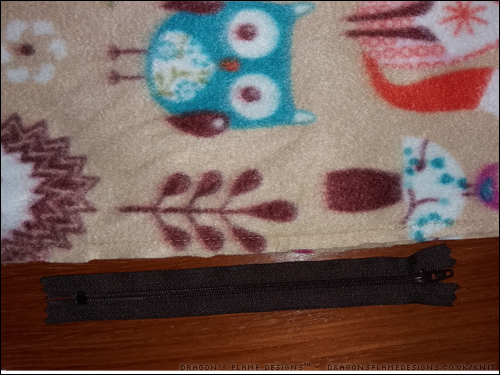 This method will result in the stitches and the zip showing a lot more obviously than if you were using a concealed zip. 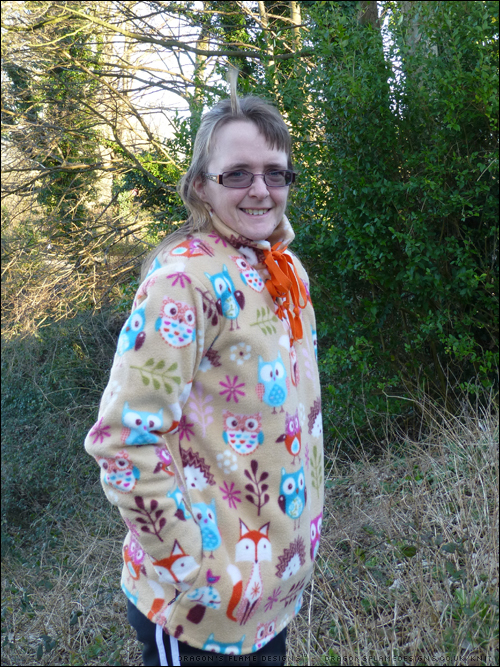 I added the pocket linings as the instructions stated, although I did use the main fabric for the pockets as well – I like to be able to plunge my hands into warm, cosy pockets on a cold day, so fleece was a necessity! That has made the front a little more bulky, but to my surprise my machine handled all those layers with no trouble at all when it came to hemming the base. 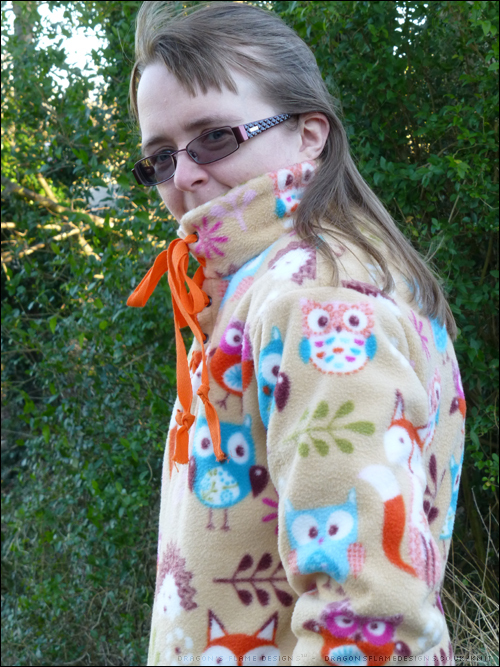 Although it was a cold windy day when these photos were taken, I was perfectly warm with my fleece top. 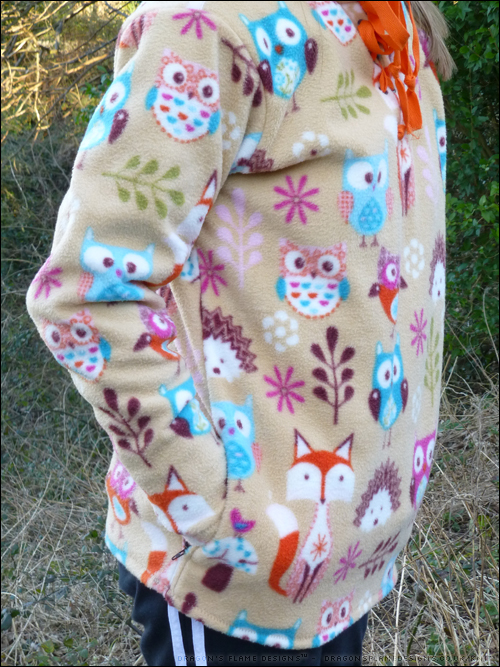 It was definitely a wise idea to use the same fabric for the pockets, as my hands were suitably warm and toasty! Never a wise idea to not have your hair tied back fully when it’s windy! And to top off their celebrations, 5 out of 4 patterns* are not only offering 40% off their patterns (excluding Gloria) from Monday 2nd April through Saturday 7th April with the code SOBIG, but also have an amazing giveaway you can enter! 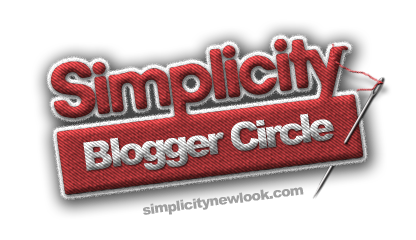 Check out the prizes on offer (and how to enter) in the Rafflecopter box below! 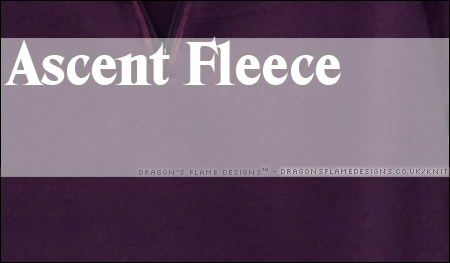 This entry was posted in Blog Tour, Clothing, Sewing, Tutorial and tagged 20k blog tour, 5 out of 4, 5oo4, Ascent, blog tour, clothing, fleece, sewing on April 3, 2018 by Sewist. 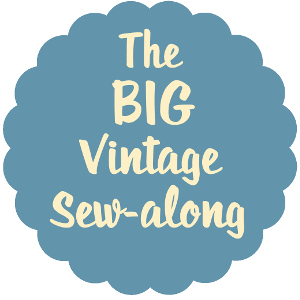 The thought of sewing with stretchy fabric terrified me – I’d heard all sorts of horror stories about how the fabric stretched out of shape while sewing, or all the stitches snapped when the person tried on the finished item. 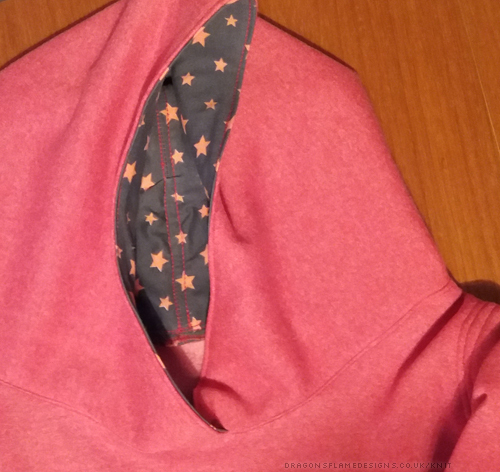 However, I couldn’t find a hooded sweatshirt in the shops that suited me, so I wanted to try making my own. Craftsy had a sale, so I decided to take the plunge and enrol on the Sewing With Knits course. 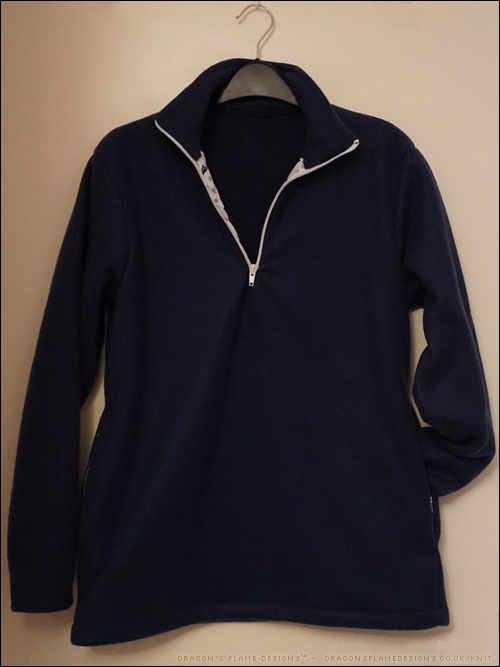 It includes 5 patterns for different items of clothing, including a fleece hoodie. 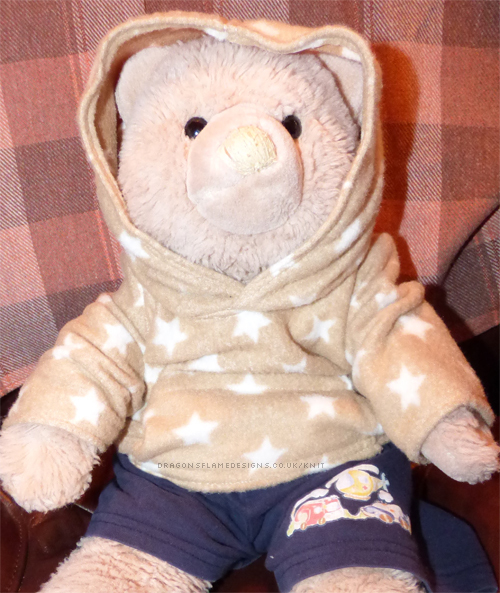 I printed off the pattern in a smaller scale to start with, and stitched a teddy bear sized hoodie as a test run. Pockets are always useful, so I added a free-style kangaroo pocket to the front. 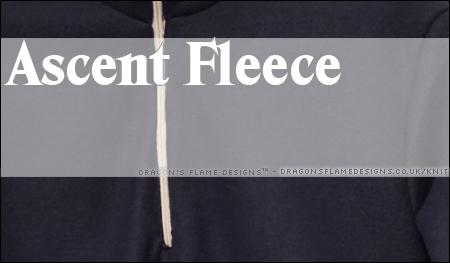 Spurred on by my success, I went searching for sweatshirt fleece. 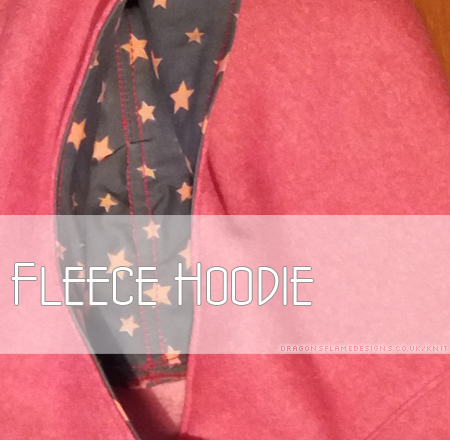 This was surprisingly hard to find, but I eventually came across a really nice red fleece, which has slightly lighter red stars printed on it. Not wanting the fleecy side to be against my hair on the hood, I also picked 50cm of jersey fabric to use as the hood lining. 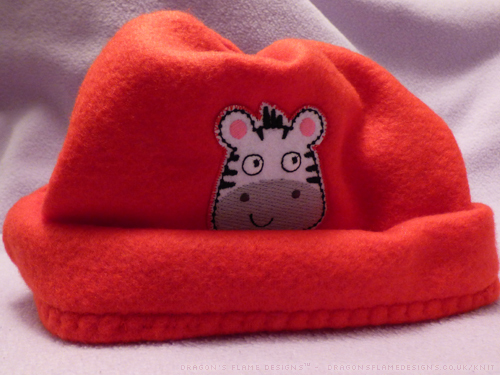 The pattern doesn’t include a hood lining, so I used my usual method of trial-and-error to get it to line up. 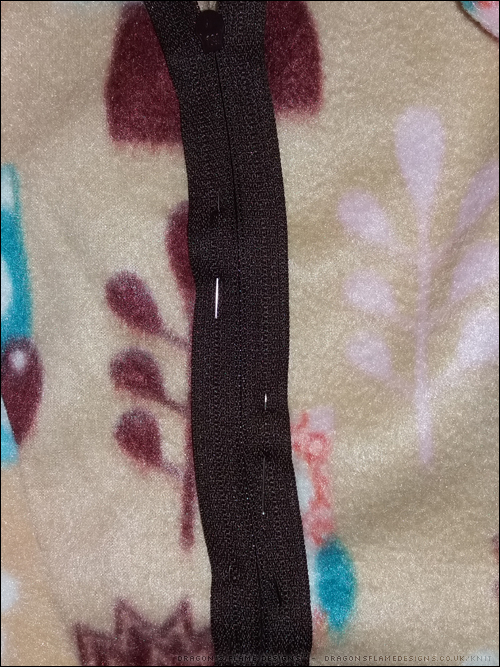 Admittedly some of the top stitching down the sides of the seam aren’t entirely level on the lining, but that’s not overly noticeable unless you look really closely. 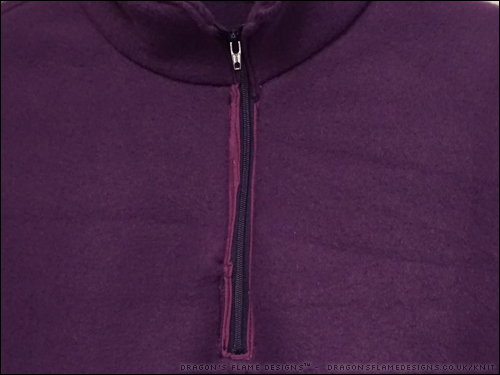 To get the lining attached to the hood, I left a small gap on back neck edge to turn it the right way out – as that’s underneath the hood, it’s not too obvious that there’s an extra line of top stitching there just to hold that seam closed. 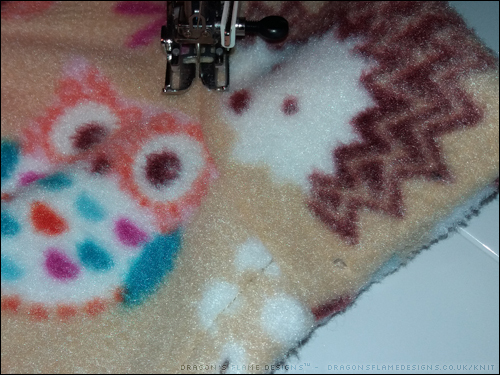 All the seams were sewn on my regular sewing machine, using a zigzag stitch. 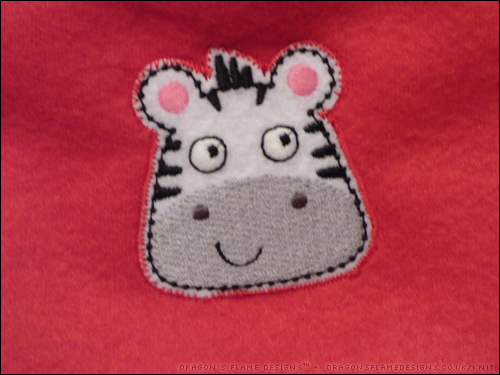 I do have a stretch stitch option, but the craftsy course used zigzags, so that’s what I stuck with. 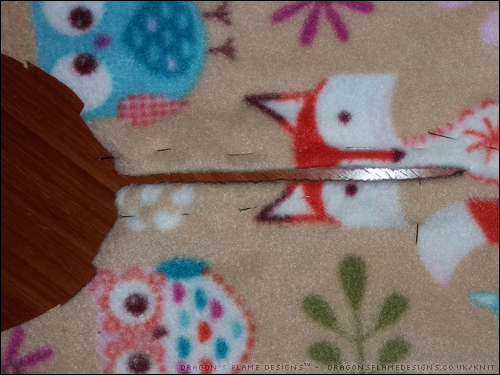 I haven’t decide yet if I should attempt a double zigzag hem, or if a twin needle hem would work better – it’s mainly down to the bulk of the fleece, which one would look the neatest. 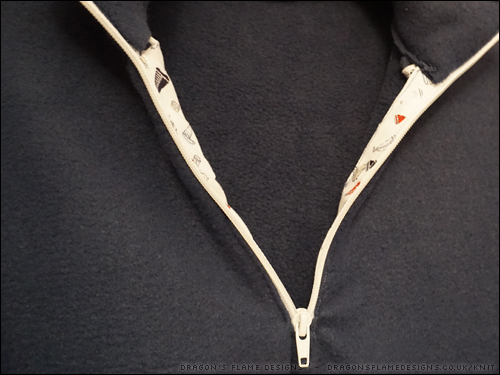 This entry was posted in Clothing, Sewing and tagged craftsy, fleece, hoodie, sweatshirt on April 26, 2016 by Sewist.